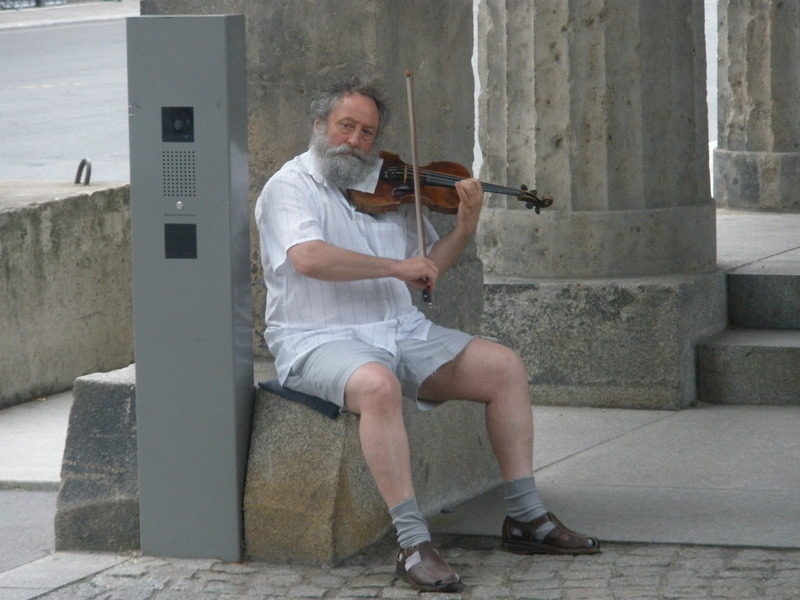 Berlin boasts a wonderful combination of museums to capture your imagination and street musicians to make you smile along the way. 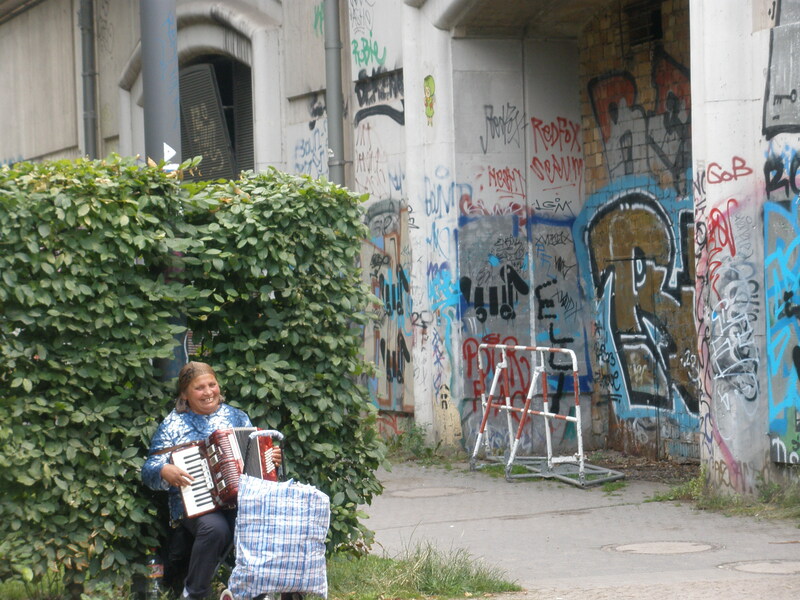 While walking from the train station to Museum Island, we passed this cheerful woman playing her accordion. To me, accordion music is quintessentially European (When is the last time you heard a street musician playing an accordion in New York or Chicago?). I love it, and I wasn’t the only member of my party who was enchanted. Half Pint, my smallest travel companion, couldn’t help himself. First he waved shyly, then his little feet started to tap, and before long he was full out dancing along to the accordion music. The already cheerful musician threw her head back and laughed. It was delightful. 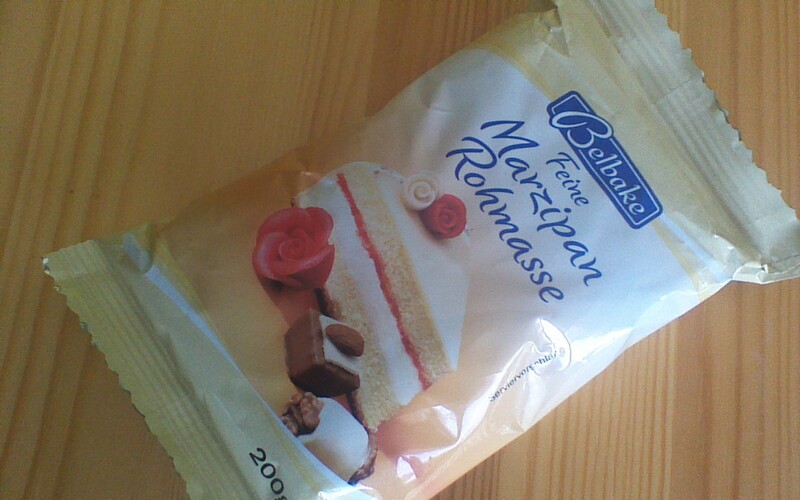 On an earlier Aldi shopping trip, I took notice of how marzipan is quite inexpensive in Germany. At my first opportunity, I picked up a little package and put my small sculptors to work! Half Pint declared the marzipan “too sticky” and toddled away. Almost Pint happily sculpted a rainbow, a bug, and a ukulele – all open to significant artistic interpretation. 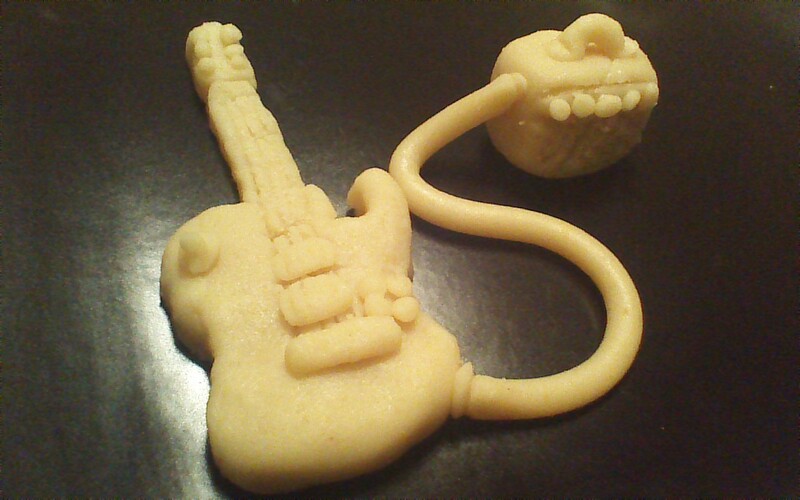 Full Pint (who, if I must be honest, is approaching Quart Size) humored me with a marzipan electric guitar and amplifier, shown below. 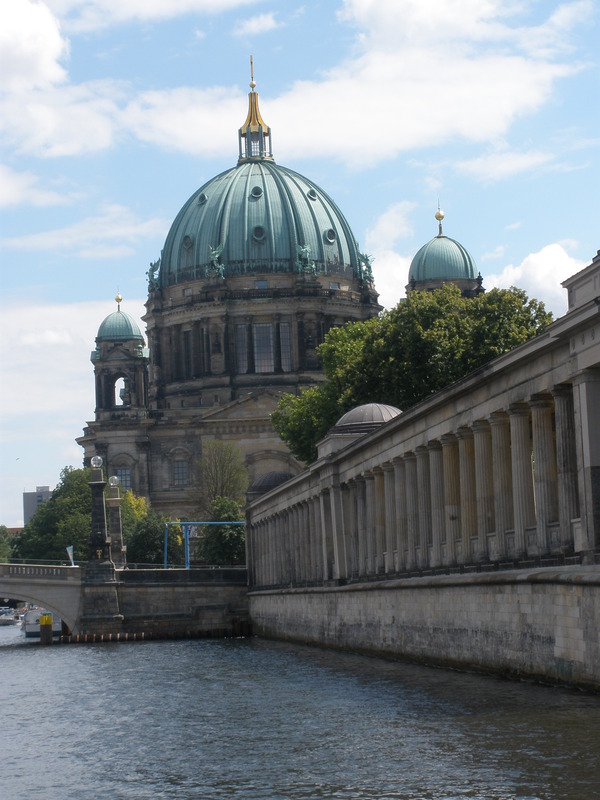 While sculpting with marzipan was whimsical fun, it did serve to cement the Berlin music-and-museum experience in little minds. Among our many European adventures, I hope this will be a day they remember. This entry was posted in Food, Travel and tagged Berlin, Food, Music, Travel. Bookmark the permalink. What a delightful post! I laughed because I could picture all three “pints” reacting to the music and making marzipan sculptures. Thanks for sharing. Keep sharing every moment of your trip.